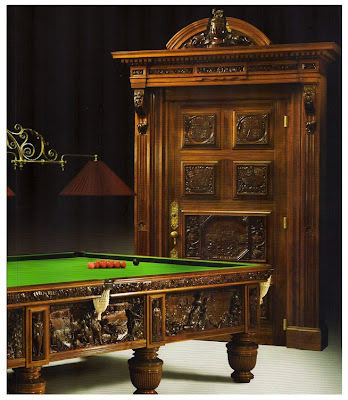 For me, billiard tables have always conjured up thought of green velvet, legs, green felt and little else, and not being a billiards player they usually left me feeling ... well, rather uninspired. 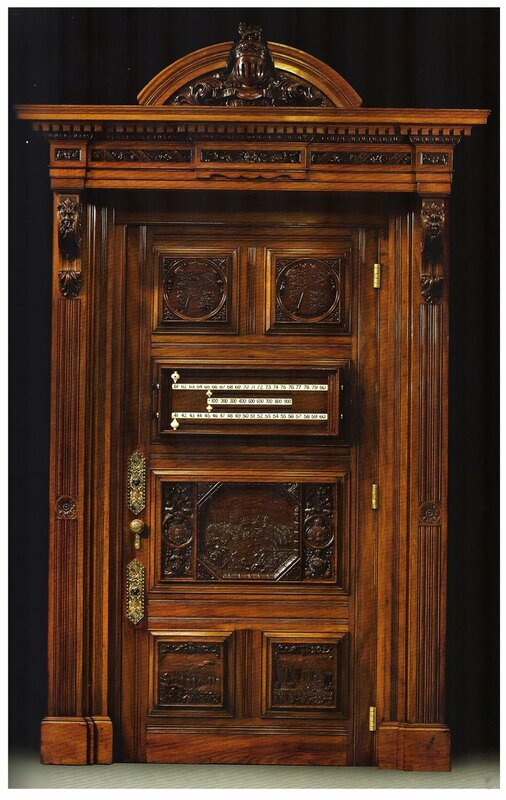 That is until I saw this one at Masterpiece on the Wick Antiques stand! The big tall thing that looks like a door in the background is actually the scorer and behind the door is the cue stand. 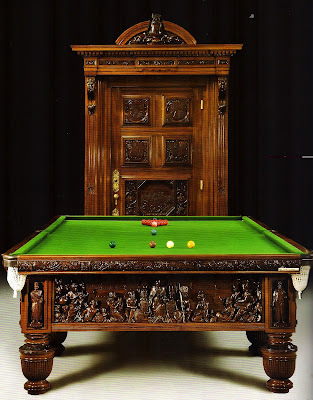 The table was made by Orme & Sons Ltd in 1887 and was commissioned for Queen Victoria's Jubilee Exhibition in 1887. 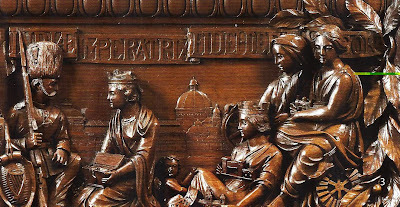 The concept behind the table was to record the historical succession connecting "the principle links between Her Late Majesty, Queen Victoria, with William the Conqueror, and thus inferentially with Charlemagne from whom William the Conqueror was himself descended: Also by the Panels, in which are allegorised the principle Colonies and Dependencies, to illustrate the wealth, diversity, and breadth, of the British Empire." The friezes have been decorated with quotations from Shakespeare, Tennyson, Scott, and Byron and portraits of William of Normandy, Henry I, Henry II, John, Henry III, Edward I, Edward II, Edward III, Edward IV, Elizabeth of York, James I and Charles I. 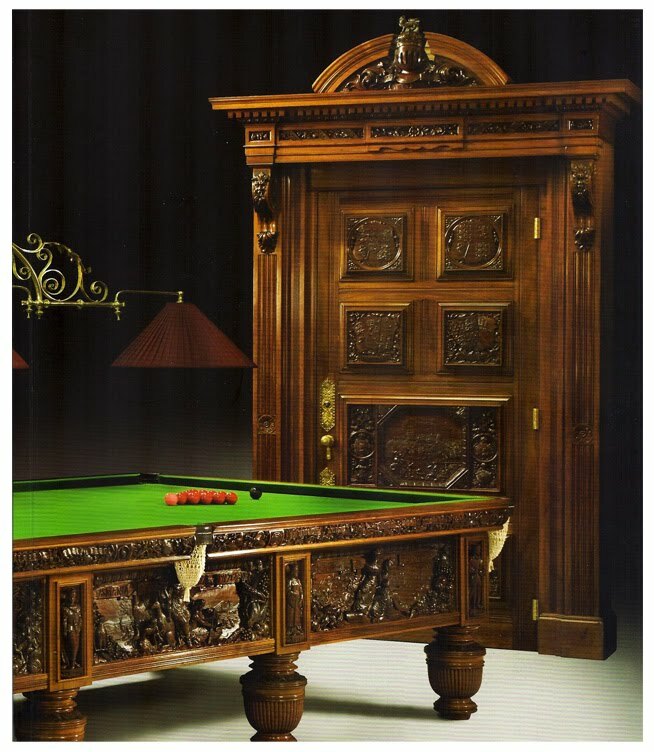 In addition most billiards tables are convertible in to table tops making them suitable for other non-gaming applications as well. Nice work i really impressed! Absolutely - imagine this one as a ding table. Gorgeous! !